Ashby Nursery is an Early Years Alliance childcare service located in North Lincolnshire. We offer 49 Ofsted-registered places and are assessed as 'Good' by Ofsted. Our committed, friendly and well-qualified nursery team provides high quality care and learning opportunities for children aged between 8 weeks - 6 years. We are open from 8 - 5.30 Monday to Friday, 51 weeks of the year, excluding bank holidays and three staff training days. 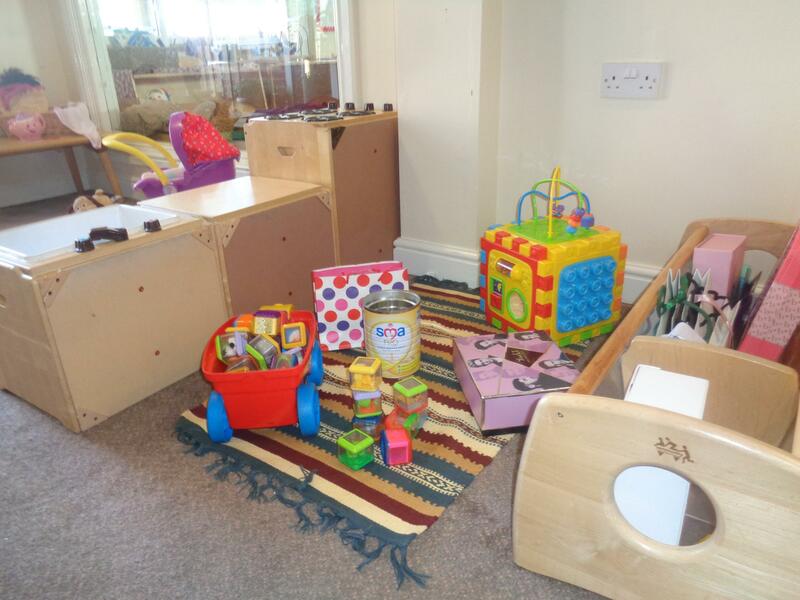 Ashby Nursery offers a stimulating approach to early years development and learning for very young children. 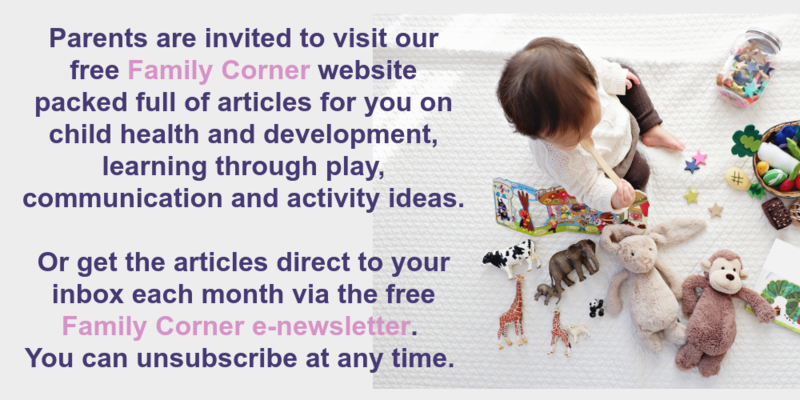 We are open 8 - 5.30pm, 51 weeks of the year offering full day care, morning or afternoon care. 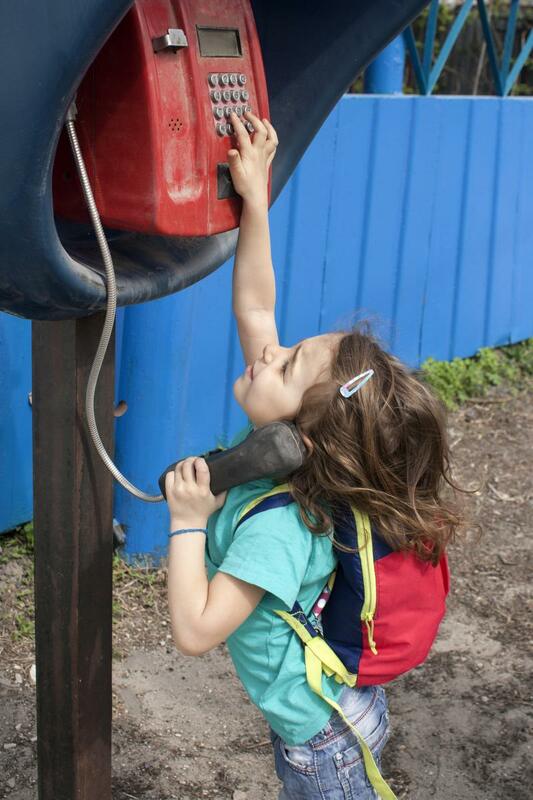 We aim to provide quality and affordable childcare, within a safe and secure environment to enable all children to learn and develop, ensuring that each child reaches their full potential. 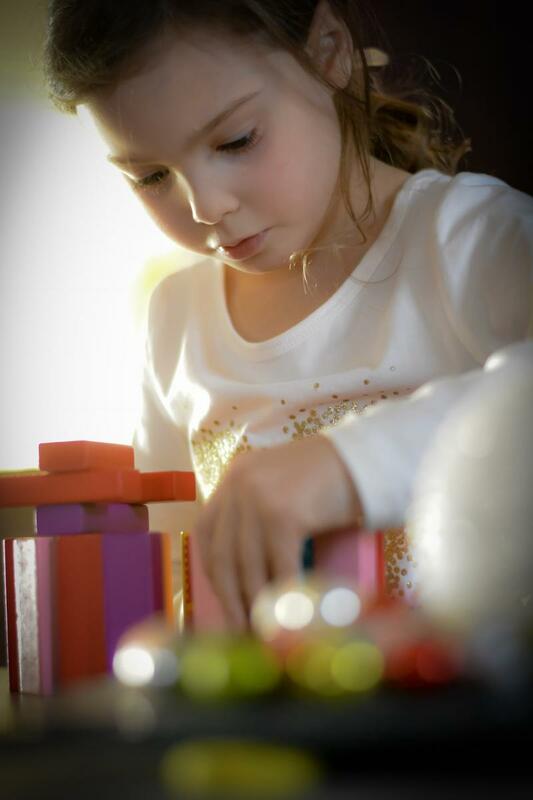 We are an inclusive setting and follow the SEND code of practice, the equality act and the EYFS which are incorporated into our policies and procedures which are reviewed and updated on an annual basis. 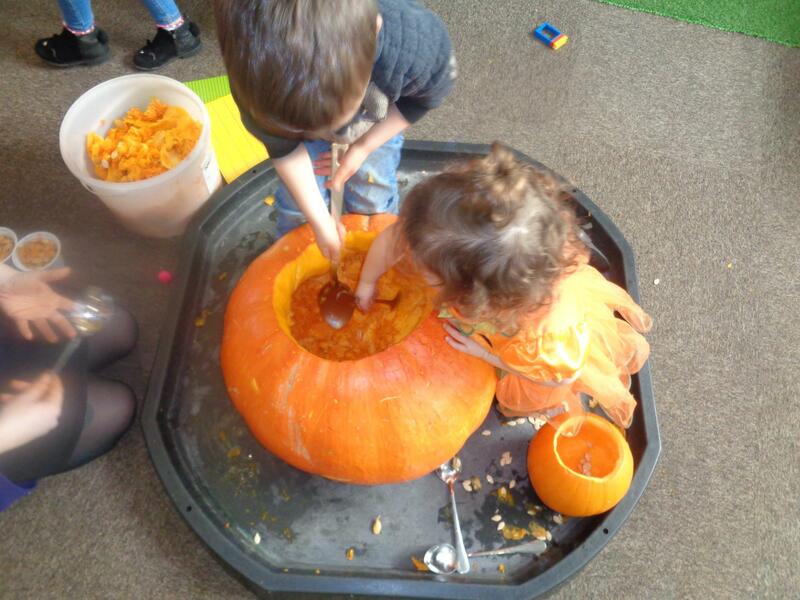 The children enjoy learning through play experiences in bright indoor and outdoor play areas, we have regular visits from outside agencies offering the children lots of fun and exciting experiences whilst learning about the world around them. We are managed by the Early Years Alliance, one of the largest providers of childcare in England with over 50 years experience delivering childcare and practical, professional support to early years practitioners. 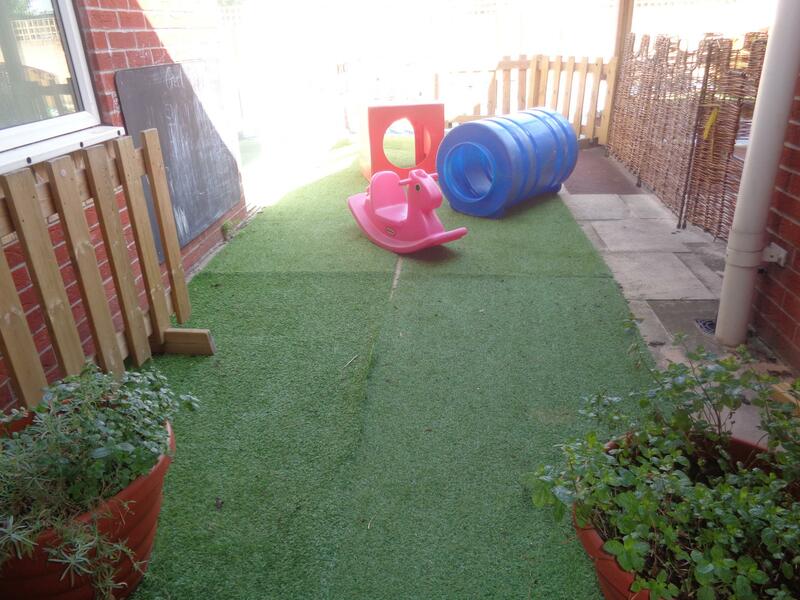 The nursery is a purpose built building situated within a Children's Centre; we have a large outdoor area and a smaller outdoor sensory area which provides an exciting space with a variety of experiences to explore and allow easy access to the "free flow" provision. Staff within the provision are very welcoming and experienced, with a strong commitment to help the children in their care to learn and develop to their full potential. We have a named SENCO Jayne Harris who supports staff when working with children with additional needs and disabilities and their families; OFSTED commented that "the manager and staff have developed extremely effective partnerships with other agencies and professionals. Together they provide targeted support for disabled children and those with special educational needs and their families." The SENCO has a wealth of experience and is pro-active in completing referrals for Speech & Language, Early Help, Educational Psychologist and EHC assessments. The baby room offers a home from home relaxing and calm enviroment, we plan individually for all the children in the room and offer a variety of exciting play opportunities, alongside the lovely toys and activities available the babies have access to fantastic open ended resources and have some great sensory baskets to explore. There is a separate cosy sleep room attached to the baby room so the children have a relaxing quiet area to rest, this is separated by a stable-style door so staff always have visibility and are in sight and sound of the children at all times. All the babies have individual routines and we work closely with the parents to make sure home routines are followed. The baby room has direct access to the outdoor area which is enclosed, safe and fun for them to play alongside the older children, the babies love being alongside the older ones and enjoy spending time communicating with and watching them whilst still having there own safe space to crawl, toddle and walk about. The babies also have access to the sensory garden where they to have the opportunity to explore and develop their senses through play. The baby room has a lovely full length window allowing full view of the 2 - 5 year old room, the babies enjoy spending time watching the older children play and becomming familiar with the 'big room' which helps alongside our strong secure transition process we have in place when they are ready to move on and join the Caterpillar area. The 2 - 5 year old room is a large bright homely enviroment, it is split into two sides, the 2 year olds who are known as the caterpillars and the 3 + who are the butterflies, they have shared access to the homecorner and the creative area where there is shared 'messy activities', with the opportunity to explore sand, water, paint, playdough at all times throughout the day. Although there are two sides to the room all children play and interact with each other and are encouraged to explore all areas. The two different age groups have their individual planning to make sure all areas of learning are covered and suitable for the age and stage of all the children. Every child has a learning journey documenting their individual next steps and pictures and observations of their time at nursery, you are able to view these at any time. 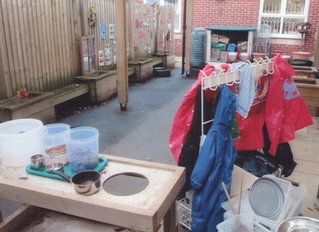 The caterpillars and butterflies have freeflow provision and after register the doors are opened to allow for this, the children have the freedom to play inside or outside throughout the session, we believe free flow play has huge benefits on the positive development of children. 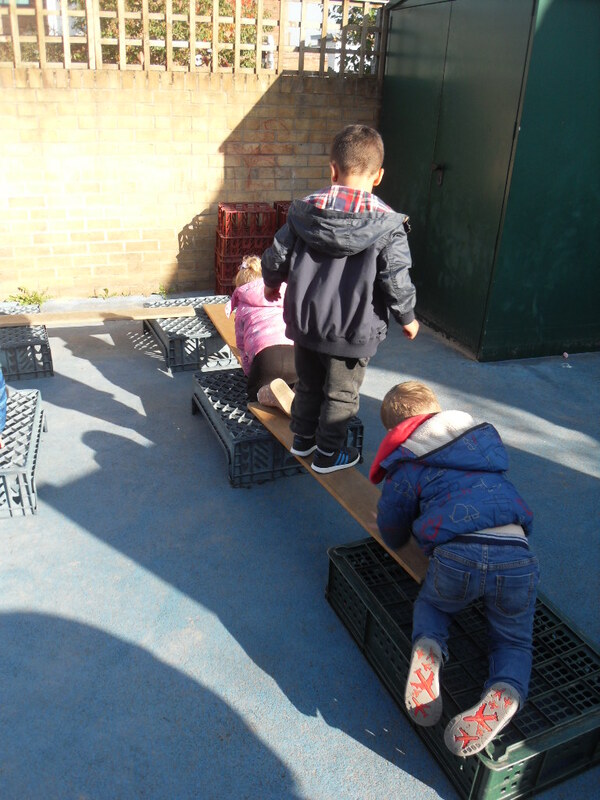 We have two outdoor areas to explore, the days and sessions are alternated to allow all children the opportunity to access them. Our larger area has plenty of space to move around and develop physical skills during planned sessions, also lots of space to plan and provide lots of different experiences, small world areas, mark making and creative area, homecorner, reading area and has a large covered sand pit for the children to have fun. We also have the sensory garden which provides lots of opportunities to explore through their senses, with a fantastic mud kitchen which is very popular with our children, the planting pots which they all have fun planting with the adults and watching things grow and change. Both outdoor areas are covered with large canopies so we are able to provide free flow play during all weathers. In the big room we have an area set aside if children are still at a stage of needing a sleep or rest during the day, we have individual sleep mats for the children. The toilets are also within the large room offering easy access and promoting independence within the children. 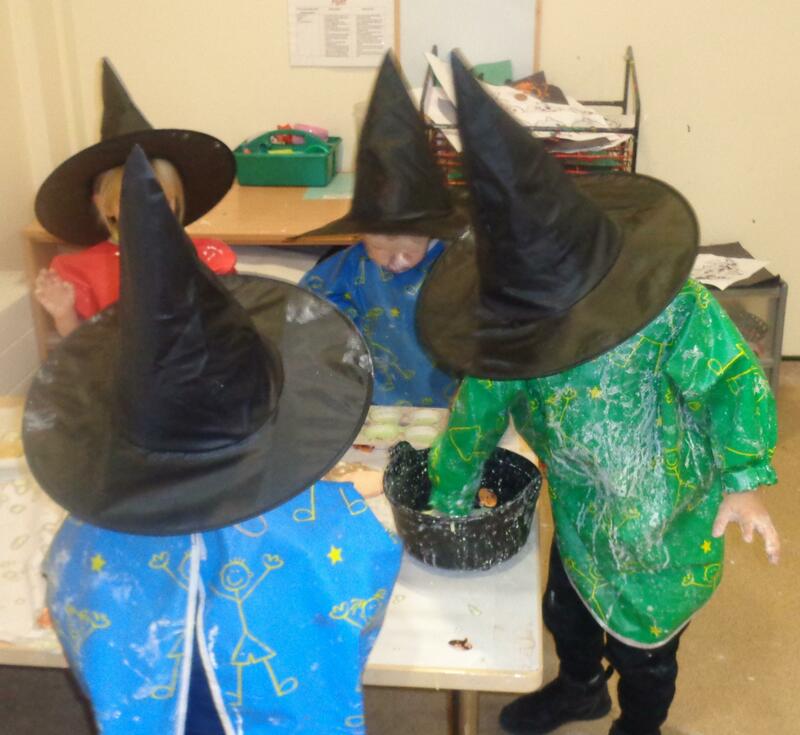 The children enjoyed exploring the corn flour and cauldron talking about the feel of it, some used the experience to practice their language skills making 'silly soup' using lots of rhyming words and listening to one anothers ideas. 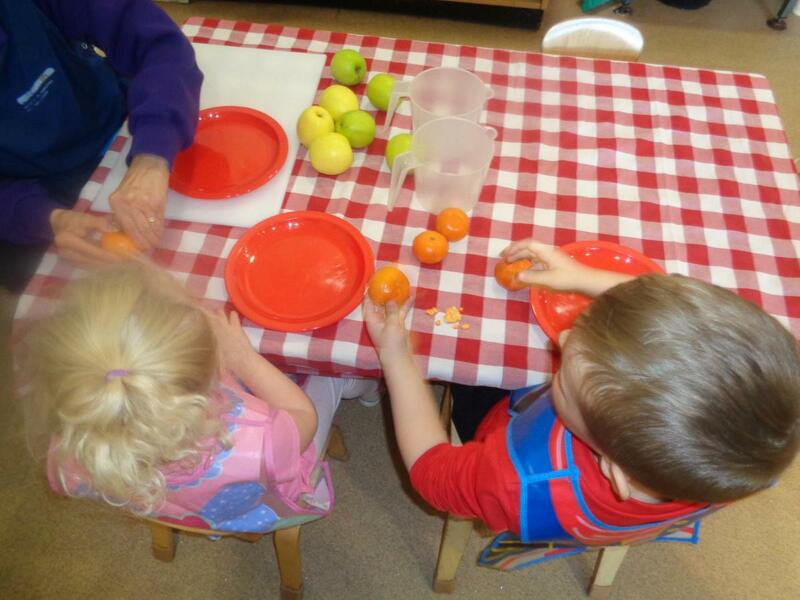 All the children are given the opportunity to help with snack time and really enjoy the responsibility of this, we have child safe knives for them, this really helps develop their independnce and they have great fine motor control. This snack time also had lots of number talk about how many pieces they each had, aswell as helping and supporting each other with their tasks. During the induction process your child’s key person will make time to find out from you about your child’s interests, likes, dislikes and special requirements. Please share any important or useful information when you register your child and throughout their time with us. This helps us to give your child the most appropriate care and learning to suit their developmental, emotional and physical needs. You can access and contribute your views to your child's progress and achievements in their records. Yes we do. Please contact us to discuss what days and times you need. Lunch; 2 course hot meal provided by the Community Cafe based on the premises. Yes we are able to adapt our menu to suit your child's dietary needs. We have a level 4 and all other staff are qualified to level 3; we have 10 staff with a First Aid qualification. We would like your child to complete several induction sessions (there is no charge for these), to enable you both to feel happy and ready to start; a start date will be discussed with you on induction. "THANK YOU! When my child came to the nursery she was super clingy and had never been away from us; with the help time and patience of all of the staff (especially her key person) she now enjoys nursery and has gained lots of confidence! We also feel confident in the way that she is looked after whilst in everyone's care." "I just want to say a massive thank you to you all for looking after my children so well. It means so much to know they are with people who care about them and want the best for them. You are an amazing team of people." "We would like to say a massive and heartfelt thank you to you all for taking such good care of my child. It has meant such a lot to us to know theat he was in such safe hands and that he was having such fun at nursery. You have all encouraged him in everything he does and he is all the better for it; we have been reassured by your knowledge and expertise." "Thank you for looking after my child and helping him to learn new things; he has loved nursery and all the new friends he has made." "Thank you for taking such good care of my child over the past two years; we are so pleased with the care she has been given. She has progressed really well and come out of her comfort zone." "I would have no hesitation in recommending Ashby nursery to other parents; the staff have always been friendly, approachable and excellent at listening to, discussing and supporting with any areas I have wanted to, and have been instrumental in helping my children settle into the new environment." "With the help of the fabulous Ashby nursery team, my child has achieved lots of things over the past few months. Things that I struggled alot to get him doing; like eating independently or sitting still to listen to a story. And the best achievement of them all is that now he is more patient at waiting or taking turns and sharing his toys or belongings, as an only child I was struggling to get him to do this. A very big thank you to the awesome team. P.S. I love the photos."